Ok, choose Earth Shaker and buy some replenish items. My starting items are Ring of Protection, 4 clarity and 2 sets of tangoes. 3) Creeps are redirected and takes the route between sentinel mid towers and the 2 sentinel neutral camps - then heads into the middle off the sentinel forest - passing very close to the central high-tier camp and the top camp on the left. Ok, now the choice is yours. I usually pull the high tier creeps like the above picture and then continued with top-right camp. And then pulled the bottom creeps. After the high tier creep respawn, i repeat the 1st and 2nd step. This is a lot easier than the original guide from below (but maybe less effective) You can choose which fit you better. 4) Then aggro and drag camps which are on route of your incoming creeps. First is the most top-right hand side camp. 5) A tango is used on the trees lining the bottom camp, opening a route from the pullable camp to the top camp. creeps from first wave should be routed by a combined attack from both camps. 6) Get ready to pull the bottom sent camp between 1;15-1;17; i personally judge it from the minimap - the box over the hero is exactly 45 degrees to the incoming creeps - do take note pull 3-4 seconds early if you get the demonspawn satyrs. 7) If the pull is successful take note off the hp off creeps and aggro the top camp to come down;you should optimally arrive with the top camp on your tail just as the bottom camp is nearly finished or just dead, allowing your creeps to follow them back. 8) If pulled correctly; creeps would head to the top camp - when top camp is killed off as well; you should have some healthy levels and the majority of 2 full creep waves denied. Better you tried this on single game beforehand, because it needs some timing precision and practice to do this well. If you screw up, you will end under leveled and high possibility on getting flamed..
if there is wind walker enemy in bottom? Very good, too bad it doesn't work on the latest version. Link to original thread please? @Fraeyr - That's the problem, i make this draft few weeks ago without saving the link (i forgot, only save the maker link). I've been spend a day yesterday to find the original thread, but i can't find it again. I'd really glad if somebody knew the original thread link.. I'm doing this before! 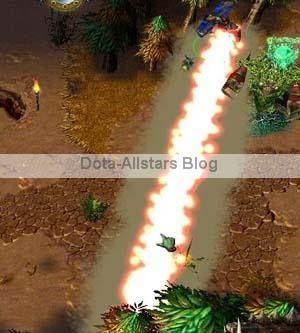 but not as Killing the Neutral creeps but to block the sentinel creeps in bottom lane. Icefrog will release the site this week?! 1 of My expectations was right if that's true! "icefrog is making the new community site instead of making dota"
> Icefrog will release the site >this week?! > 1 of My expectations was right >if that's true! > "icefrog is making the new >community site instead of making >dota"
that is not true, icefrog stated on his blog that he was without time to do the site because he was working on the Dota map, and he had recruited "Volutaries" to make the site. "Of course there's a lot of better jungle out there like Enigma (the best one at the moment), Chen or Axe"
I manage to using my own style jungle with Chen, Axe, Enchantress but not really Enigma. Kinda hard. It will be appreciate if you post the link. Don't bother too much with this. It borders on illegal in most inhouse and leagues. In pubs, bot lane will ragequit from the lack of experience or your ally at bot will ragequit from having no creeps. 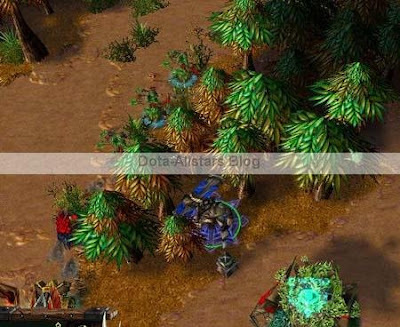 how do you get your dota terrain to look like that?